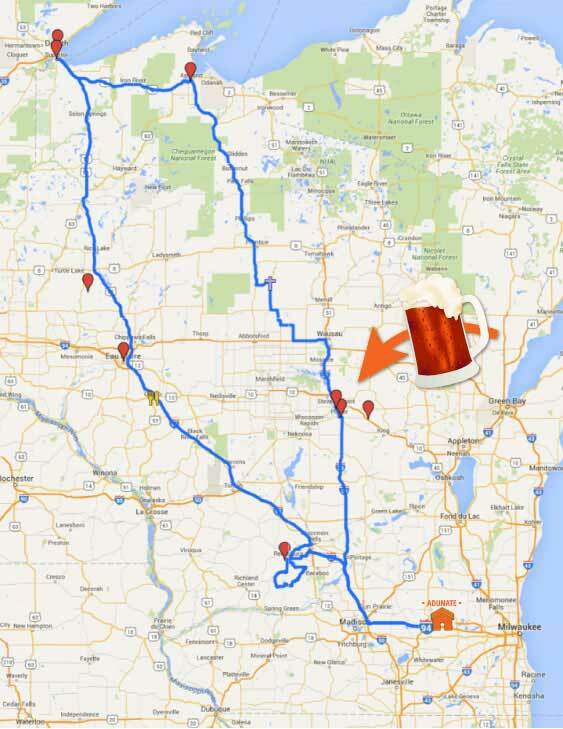 If you’re doing a week-long brewery tour there’s no better starting point than Stevens Point. 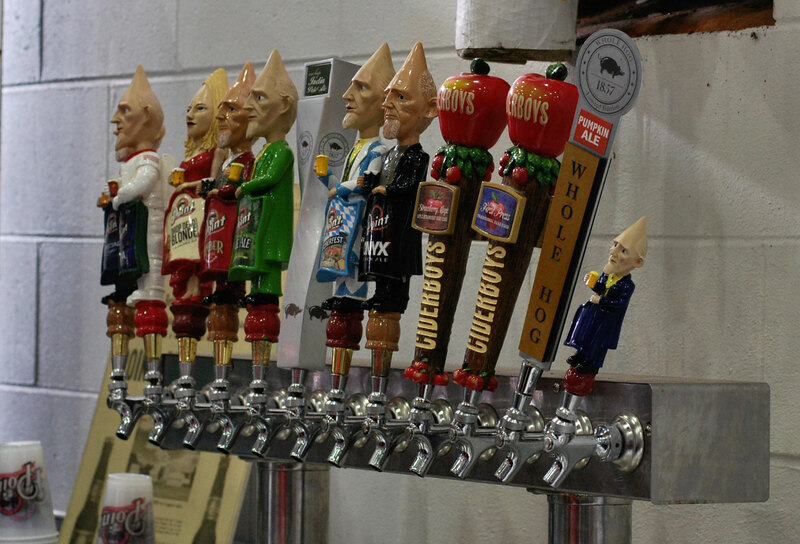 Located in the heart of Wisconsin and all its wonderfully crafted beer, Stevens Point offers enough malted brew to satisfy the most selective of samplers. And last week that’s exactly where we began our annual autumnal celebration of sipping and scenery. Stevens Point is home to the University of Wisconsin-Stevens Point. Like most college towns it offers a delightful array of eclectic shops and quaint restaurants. We meandered through the Saturday farmers market and lunched on homemade crab rangoon, 6/$4. Gotta love those food carts! 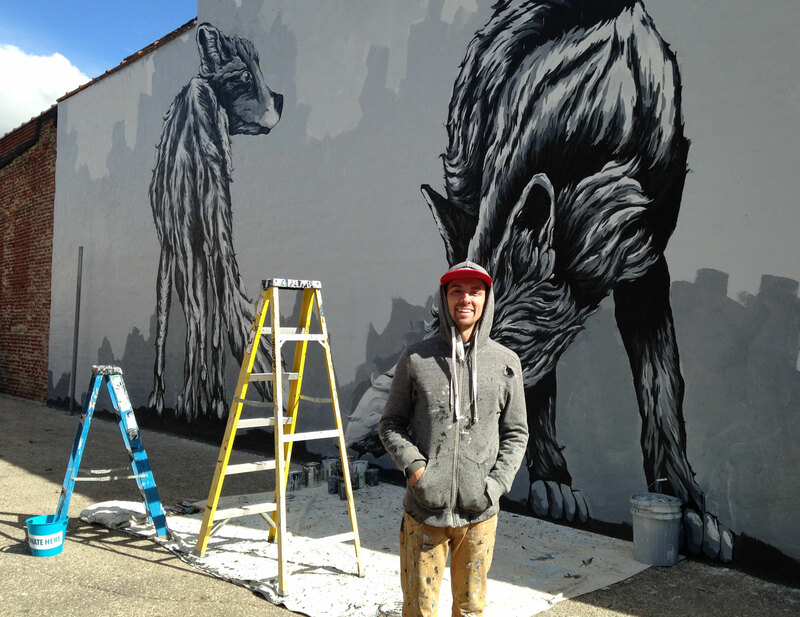 We were delighted to meet Alexander Landerman, a University of Wisconsin-Stevens Point graduate and artist. He’s been commissioned by the Arts Alliance of Portage County to “build community identity and a sense of place” by way of this beautiful downtown mural. You can check out more of his work here. There are three brewers in the area and of them Stevens Point Brewery is likely the most prominent. We made appointments for a 1 p.m. tour and were sure to wear the required closed-toe shoes. A $6 ticket included a 30-minute guided tour, tastings and free glassware. Yes, I get a big smile over free glasses! 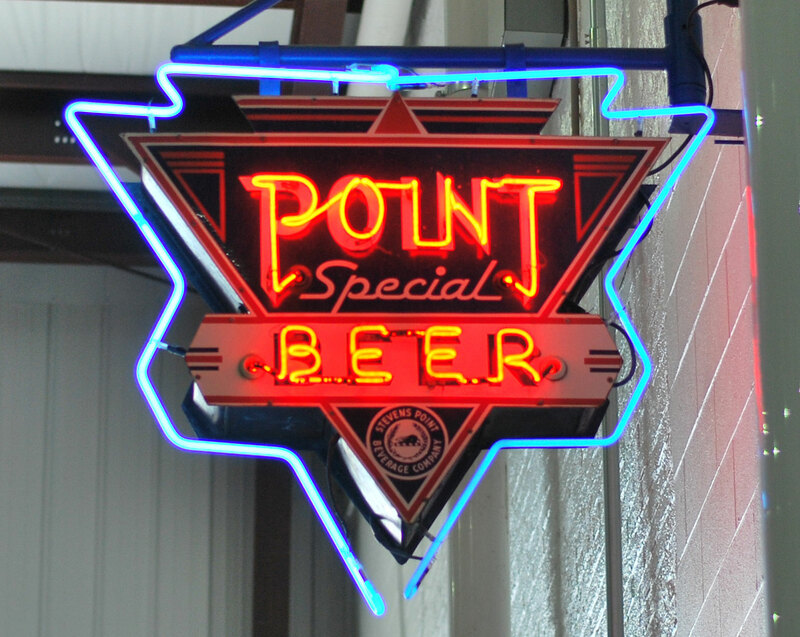 Stevens Point Brewery was founded in 1857 and is the fifth oldest continuously operating brewery in the U.S. Today it’s proud to be Wisconsin-owned, independently operated, and producing 160,000 barrels a year and a line of 40+ products. Our favorites? My husband, traditionalist that he is, enjoyed the Point Amber Classic and their seasonal Oktoberfest. I, on the other hand, broke all rules and sampled their Ciderboys First Press. It was awesome! Don’t you just love these tappers? The pointed man is styled after one of the company’s many owners, past or present, I’m not sure which, but as our tour guide acknowledged, he did not have a pointed head! According to this article, contract brewing is big business here in Wisconsin. 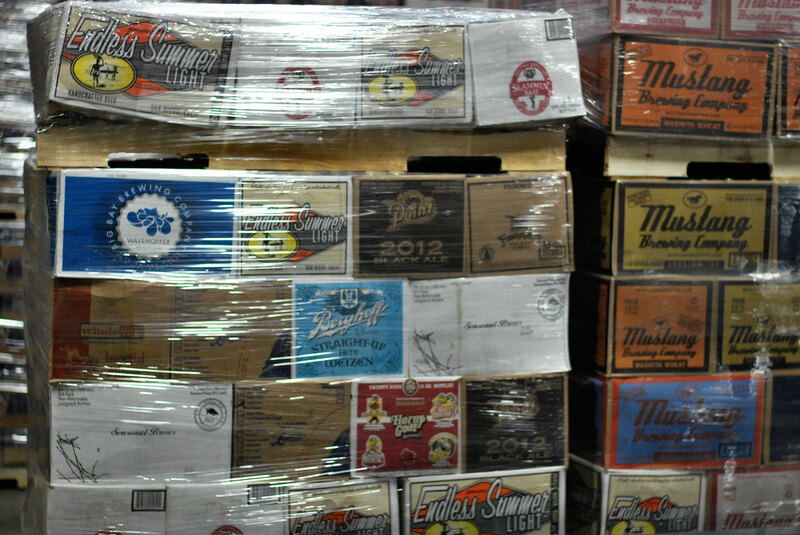 Throughout its history, Stevens Point Brewery has brewed or bottled for a variety of labels, offering small crafters a way to develop their product without the heavy investment of an industrialized facility. Interestingly, one of our favorite labels, Capital Brewery, brews its beer down here near Madison and then trucks it up to Stevens Point for bottling—in an unmarked truck, according to our tour guide! So here you go folks, our first stop. It got us off to a great start and excited us for the rest of our week. Next stop: Central Waters Brewing in Amherst!